Click the icon above to read more about the Academic Booster Club. Teachers can use the link to request funds for Professional Development or projects and equipment. Welcome to Albany Junior & Senior High School where the faculty and staff are dedicated to helping our students become life long learners. Located in West Texas, we are a Class 2A school, hosting approximately 145 high school students and 80 junior high students. AJSH has a long standing tradition of excelling in all aspects of school life. This year is expected to be just as successful, we expect the best from our students in all they are involved in. 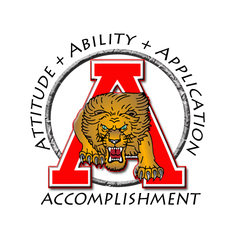 Continue to check this page often as we update the many success that the students of Albany Jr./Sr. High enjoy.